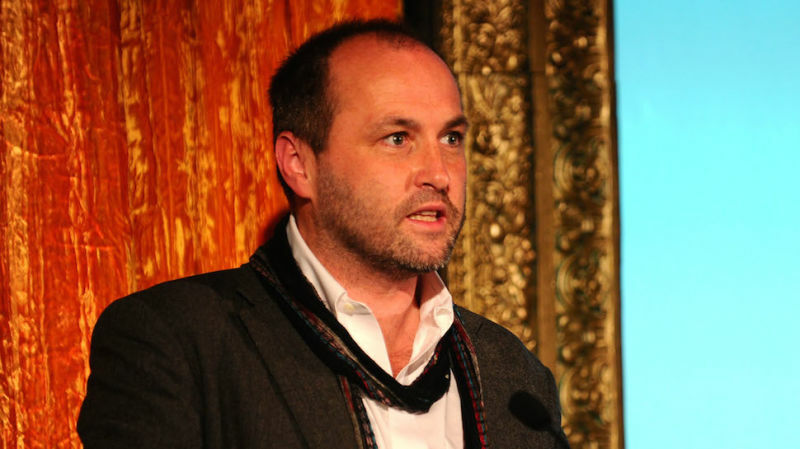 The novelist Colum McCann was reportedly beaten on Saturday night outside a New Haven hotel, according to the Associated Press. His injuries were serious enough that he was hospitalized, and is now undergoing dental work. The moment's almost here: one lucky bidder is going to be the proud owner of our charity-friendly National Book Award-winner and James Franco-endorsed copy of Sarah Palin's Going Rogue, which is going to benefit Save The Children. Not Dave Eggers. Have You Puchased Your James Franco-Endorsed Sarah Palin Slambook? Drunk yet? Good. Now, grab your wallet, and beat the Black Friday crowds to the best present ev-ar: our James Franco and National Book Award winner-endorsed Gawker Sarah Palin Slambook. It's awesome, and it's for a great cause. 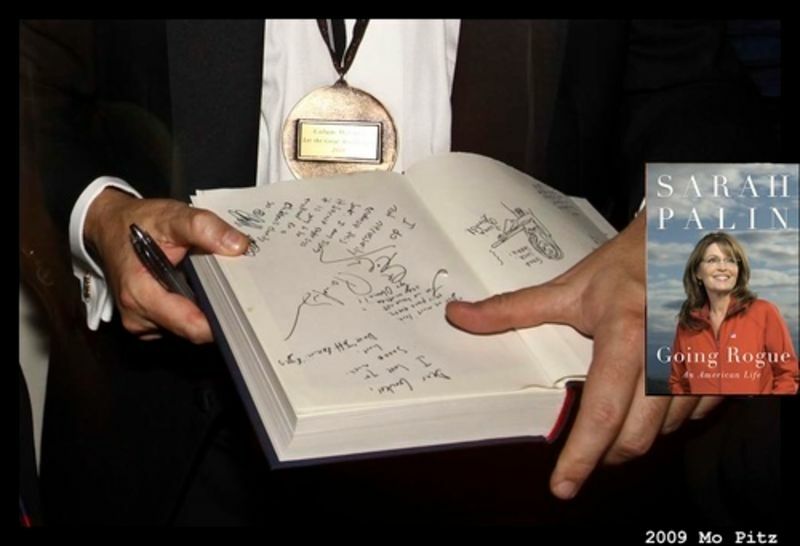 At 2009's National Book Awards we honored Sarah Palin's Going Rogue as 2010's frontrunner for the NBA Fiction Prize by getting it signed by the gathered literary luminaries. And now, it can be the best charitable, tax-deductible present ever.